A warm welcome to you and your child. Here in Holy Trinity National School we take great pride in providing a welcoming, caring, nurturing and safe environment in our school. Today there are 223 pupils in the school and the staff has grown to 16 teachers and 5 SNAs. We also have a secretary and a caretaker. We take a holistic approach to the development of children and encourage a positive approach to learning. We give pride of place to the development of the social qualities of honesty, sincerity and courtesy. We are dedicated to the health and wellbeing of pupils and staff and we are actively involved in the Health Promoting Schools initiative. We are very proud of the traditions in the school. The pupils are given opportunities to partake in a range of curricular and extra-curricular activities. 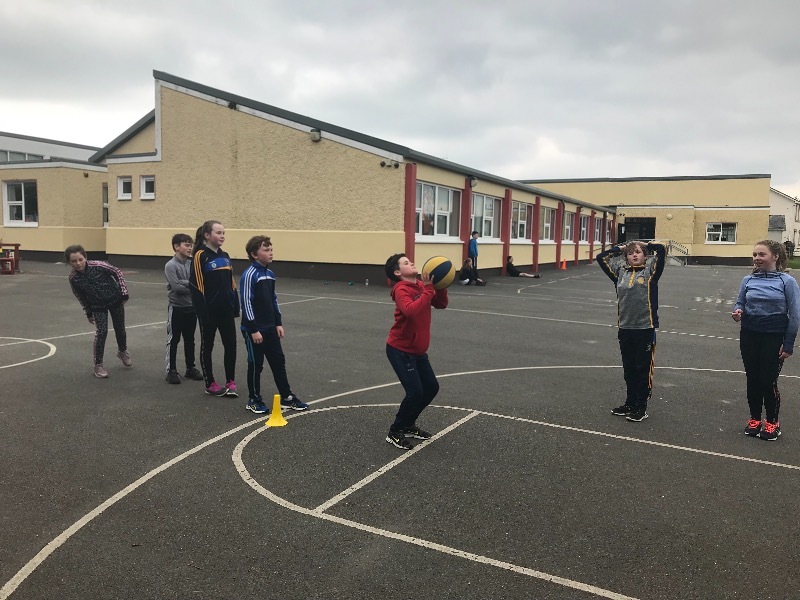 We have a strong sporting traditions, especially in Gaelic football, camogie, hurling, spikeball, athletics and soccer. Recently we have started a school band and children take lessons in flute, saxophone, trombone, clarinet, trumpet and percussion. We are looking forward to seeing our band expand and develop. We hope that you enjoy visiting our school website and that it is a help to parents/guardians and members of the school community.